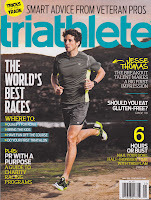 Our analysis of the world's best triathlons has been covered by major media around the world, and our most recent feature is in the May 2012 issue of Triathlete Magazine: The World's Best Races. We've raced in more than 40 triathlons around the world, and know what great triathlons should be like. Beyond that, we've analyzed results for of than 150,000 triathletes in over 100 different triathlons. 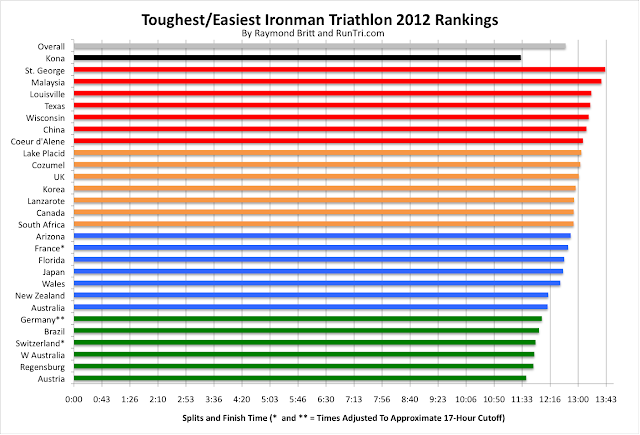 Our featured analysis focused on the World's Best Ironman Triathlons, but in a unique way. The 'Best' triathlon really depends on what the triathlete's abilities and goals. First-Timers or PR Seekers: For those choosing a first race, or for those who want to set a PR, the best races are ones with faster times, lower DNFs. Crush the Competition/Qualify for Kona: But for others who have the fitness, ability and desire to crush the competition, and maybe even qualify for Kona, the best races are the toughest in every aspect. Here are some general parameters to consider when matching your goals and abilities with your potential best races. With those criteria in mind, we created the we took a completely new approach to ranking the Best Races: we compared and contrasted 30 different Ironman triathlons based on the relationship between their bike and run splits. 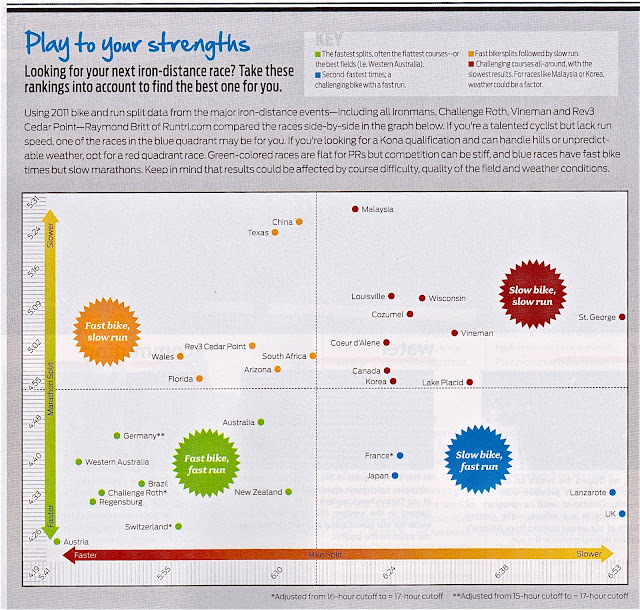 Here's our analysis as published in Triathlete Magazine, to help pick your best race based on your fitness, abilities and goals. Top 50% to Top 25%: If you're a strong runner, but cycling's more of a challenge, choose a race with a faster bike course, upper left quadrant, orange labels; if cycling's your strength, a course with faster run splits may be best for you. For great races that afford outstanding experiences, regardless of difficulty, these are our Top 25 Best Triathlons, in approximate Calendar Order. How do these races compare? 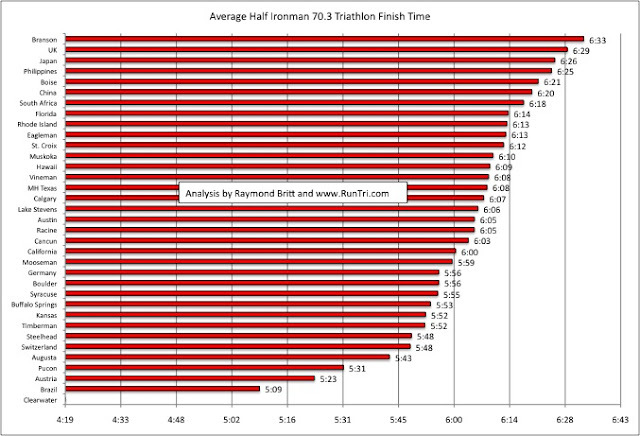 We've done the analysis for most full and half ironman distance events on the list: Toughest/Easiest Ironman; Toughest/Easiest Half Ironman. Return to RunTri.com Home Page, or RunTri.com Site Map.